Dr Steve Webb was appointed Lecturer at the Australian National University in 1984 where he lectured in Biological Anthropology and Archaeology. In 1986 he was appointed a Research Fellow at the Research School of Pacific Studies at the ANU where he conducted extensive research on the oldest human remains in Australia. He has given many guest lectures and presented papers in universities around Australia and internationally including the Universities of Stockholm,Oxford, Cambridge, Southampton, South Dakota, Colorado, British Columbia, North Illinoi, Texas Lutheran University San Antonio, Durham and University College London, University College and Trinity College in Dublin. He has worked with Federal Government and Indigenous agencies extensively, playing a significant role in the repatriation of Aboriginal skeletal remains from Australian and overseas museums to Aboriginal communities. This work has given him a broad understanding of past and present Aboriginal society and issues facing Aboriginal people. His research now focusses on past climate and environmental change in Australia and its part in megafauna extinctions during the last 100,000 years. 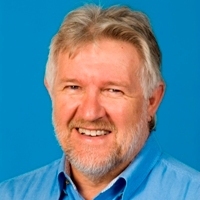 His papers have been published widely in national and international journals and is books include the Palaeopathology of Aboriginal Australians, The Willandra Lakes Hominids, The First Boat People: World Population Growth and Human Migration in the Pleistocene and Corridors of Extinction (In Press).